What Are We Looking at in 2013? 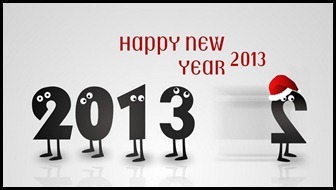 2013 is now with us and on this occasion, I wish you a very happy and prosperous new year. Your wishes come true; you keep yourself indulged in all the leisure activities you wanted to do without giving a damn about the work and its tensions and you have all the time in the world to travel to unexplored places and share them with me. To cut it short- enjoy the next 365 days and pursue your dreams (chances are majority of the people will not; they are already neck deep in work that is helping someone else realize their dream). Having said this, after wishing you a happy new year; I could not find enough reasons so that I can be ‘that’ happy. To clear your perception formed about me (if any), I am not a pessimist. Ok, I do think negative sometimes but all that is a part of me. Coming back to why I am being so sad on the advent of a new date; there is no ‘single’ reason. But this Nirbhaya case and then the after-happenings have really turned me off. I am living in Delhi and apart from reading and listening about the case like others; I have also seen its impact on the daily lives of the residents here. Shutting down Metro stations to avoid protestors to get down on important places- really, is this the way you handle sensitive situations? By doing all this, you are even turning all those people who always had a grudge against you but never let it out. Now, they are and that too, in big numbers and that has become catastrophic for the administration. And this is not about rapes only. All the scams, bad system policies, super bad management- they have played a part in it. I still shiver when I see the figure that came out of the mega popular coal scam- Rs. 4 lakh crore. If I write this in numbers; it will be- 40,00,00,00,00,000.00. I doubt that the many people involved in this (read politicians) will be able to write the amount in numbers as above. They are just not good enough to be this much intelligent which you expect every high school pass person to be. When I say these things to my friends, I am advised to vote for a different government. It hardly matters. I don’t see any difference in any political parties- in some way, everyone is flawed. Youth or experience, corrupt or honest- nobody is doing enough to make ‘the’ common man happy who is already reeling under the pressure of inflation, afraid that his daughter might not return if she leaves home alone and is aware that his life depends more on a terrorist attack than Yamaraj but is willing to save for the future. I deeply apologies for presenting a glum face in these festive days of a new year but that, unfortunately, is the reality. And what is worse that I can’t see things changing. Expect more attacks, scams and inhumane crimes. But, like all other optimist Indians, I believe- the change is around the corner.